This week, one of our hottest selling products has been MLB yearbooks. Yearbooks date all the way back to the thirties. The earliest that we can locate belong to the Chicago Cubs and Tigers from 1934. Many teams would be regularly printing yearbooks by 1947. Yearbooks are popular because they feature not only players, coaches, and front office staff from that year, but also some great advertisements and cover art. One office favorite comes from the 1953 Senators team. 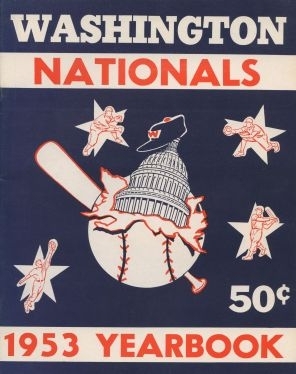 At the time this yearbook was published, the Washington Senators were coming off of a very average year in which they 2 games over .500 and 5th in the AL. The team did not have many players that stood out as above-average, as demonstrated by the fact that none of their starters batted over .290 and their pitchers had a pedestrian 3.37 ERA as a team. However, their 1953 yearbook features some of our favorite cover art. It shows the U.S. Capitol Building blasting through a baseball and bat. Although the 1953 Senators team wouldn't accomplish much, their yearbook was definitely great. 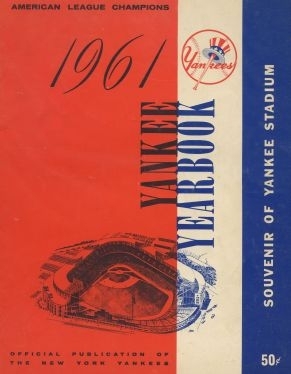 One of the most expensive yearbooks from the 1960's is the 1961 Yankees yearbook. As most baseball fans know, 1961 was an outstanding year for both Yankees sluggers Mickey Mantle and Roger Maris as well as the team. The Yankees would go on to finish first in the AL and then win the World Series, beating the Reds in 5 games. 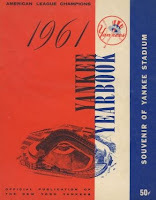 The yearbook itself is fairly simple, featuring Yankee stadium with red, white, and blue colors overlaid. With our office located in Cincinnati, we are partial to all Reds memorabilia, particularly those from the era of the Big Red Machine. 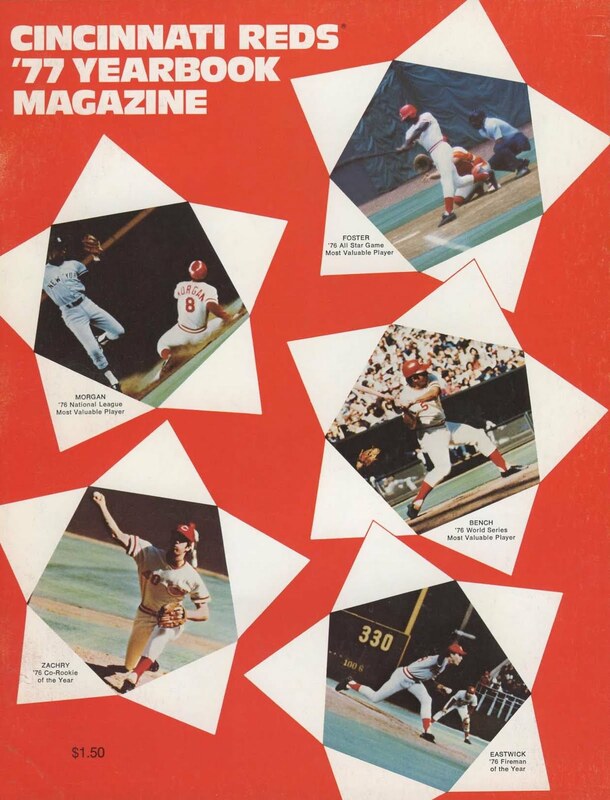 The 1977 Reds yearbook features some of the key players on the Big Red Machine, including George Foster, Joe Morgan, and Johnny Bench. At the start of the 1977 season, Reds fans were enjoying back-to-back World Series wins as well as back-to-back MVP awards for Joe Morgan. 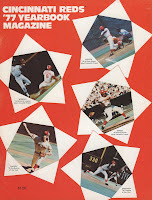 Please click here to view all of our MLB team yearbooks and media guides.